Charles Leclerc and Sebastian Vettel had no trouble at all to end up on top of the timesheet at the end of the final practice session ahead of qualifying for the Bahrain GP. Lewis Hamlilton was even further behind than on Friday, leaving nearly 8 tenths between himself and today's pace setting Monegasque. Valtteri Bottas ended 4th fastest, nearly matching his multiple championship team mate. Haas's Romain Grosjean did even better than on Friday as well, ending up 5th fastest, 1.2s down on Leclerc. The Frenchman led a closely matched midfield, with Hulkenberg, Norris, Verstappen and Sainz less than a tenth behind. Only 10th placed Kvyat was 2 tenths seperated from the guy ahead of him. 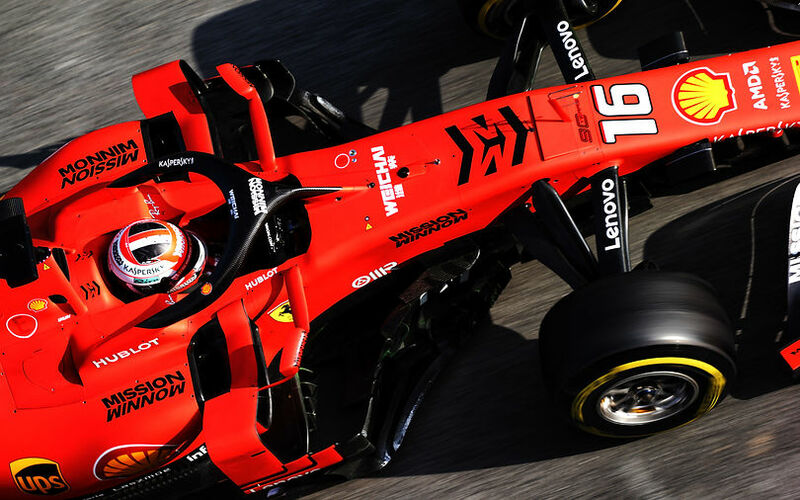 Kimi Raikkonen was the fastest Alfa Romeo Racing driver in 11th, recovering from a troubled Friday where both Alfa drivers were sidelined for large parts of the session due to cooling problems on their cars. Gasly and Magnussen, as were next up the pecking order, but even worse off were Ricciardo and Albon, who both were solidly outperformed by their respective team mates. Both Williams again closed the pack in 19th and 20th, both more than a second behind to 18th.